I am a dedicated husband married to his high school sweetheart, father of a very energetic six year old, co-owner of Peapod Publishing (peapodpublishingbooks.com) and aspiring ultra-runner. I strive to lead a simple life, to focus foremost on my family and to truly “live” life while I am on this earth. 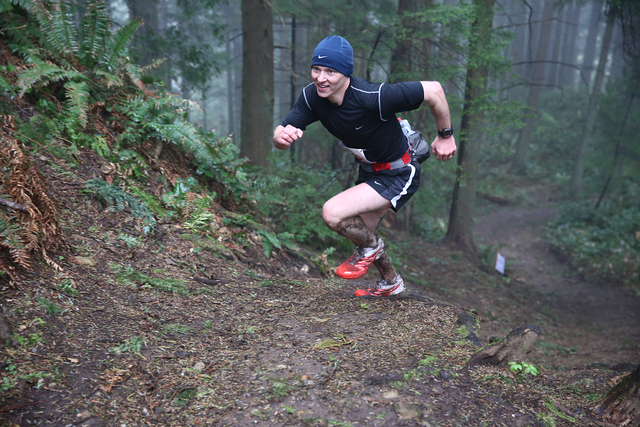 Chuckanut 50k 2015 Photo by Glenn Tachiyama. I began running in 2013 at the age of 35. Although my path into running might be a little different than most post collegiate runners, it does not stop me from striving to reach my goal of becoming a competitive ultra-runner. I am highly motivated and passionate about running and am grateful for each and everyday I can explore our world. Please join me as I attack life and continue my journey into the world of ultra-running. …Two roads diverged in a wood, and I–I took the one less traveled by, And that has made all the difference.